The future belongs to the bots. That’s not a warning and, thanks to cobiotics, neither is it something to fear. It’s simply the truth. Between 2017 and 2025, the global market for industrial and non-industrial robots is expected to rise 1,168.7% from $39.3 billion to nearly half a trillion dollars. And no one is investing more heavily than China. The answer: as goes China … so follows the world. This is true for trends like mobile shopping, social commerce, and logistics. But it’s also true for behind-the-scenes advancements in manufacturing and fulfillment. Unlocking this trend for your business starts with understanding (1) recent developments and (2) how you can prepare for it today. Its Impact on Global eCommerce. More telling is that the above data was generated before three major developments. First, Chinese conglomerate Midea’s acquisition of German robotics maker Kuka. Second, China’s robotics company UBTECH raising $820 million. Third, full implementation of the ambitious “Made in China 2025” plan. Each of those events illustrate China’s commitment to robotics, but the last deserves fuller attention. Setting politics aside, Made in China 2025 encompasses a broad range of initiatives aimed at making Chinese companies more competitive, moving up the “value-added chain in production and innovation networks,” as well as achieving international brand recognition. 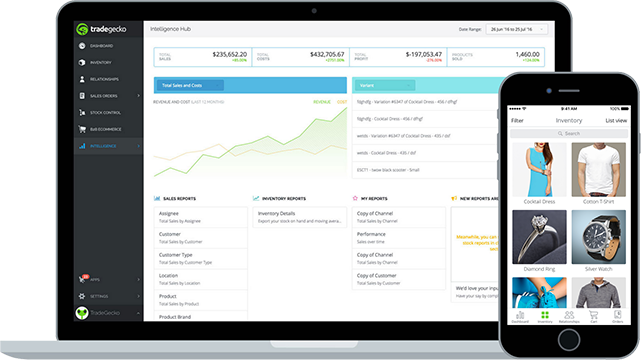 How does all that intersect with eCommerce businesses and entrepreneurs? More recent scholarly work not only validates this trend in China but globally as well: “‘Made in China’ no longer necessarily means cheap or knock-off, though that still exists. China has the expertise, the engineers, and the infrastructure to make quality products, and is doing so.” Essentially, bot-enablement means that Chinese manufacturing is simultaneously improving and lowering in cost. Number two, logistics. “Pick and pack” is already the fourth largest use case for robotics in APAC. In addition, a recent Deloitte study found that chief procurement officers lowered their “expected level of technological impact on business” in sectors like analytics, cloud computing, and digital platforms. The projected impact of “robotic process automation,” however, nearly doubled. The groundswell of bots improving logistics — namely, warehousing advancements and Alibaba unveiling a million “smart vehicles” for delivery — points toward a more streamlined order-fulfillment process that will inevitably move from Eastern Asia to Europe and North America. Ensuring you or your third-party logistics provider are ready for these shifts is absolutely critical. 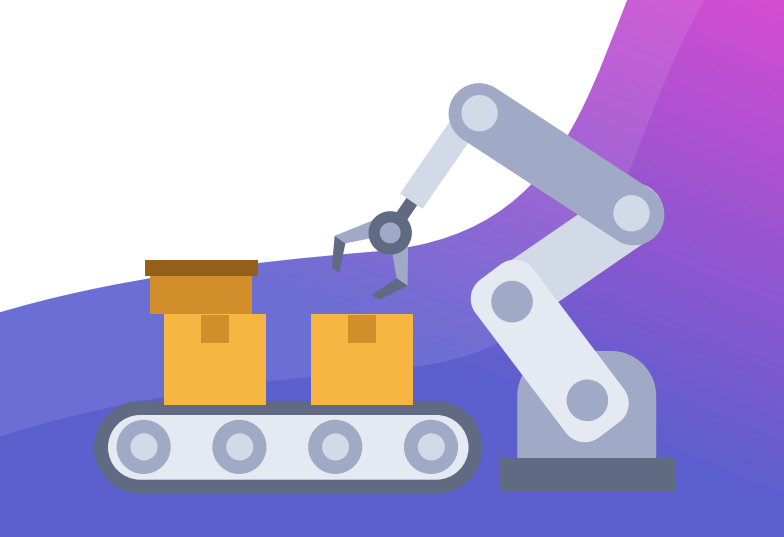 Number three — and perhaps most importantly — the bot-led revolution is just one of many related factors contributing to the massive opportunities of selling into China. Of the 1.4 billion people projected to join the global middle class by 2020, fully 85% will be in APAC. China’s five-year growth rate in eCommerce revenue alone — 70.9% from 2018 to 2023 — towers above second and third place projections: U.S. (45.7%) and France (45.5%). 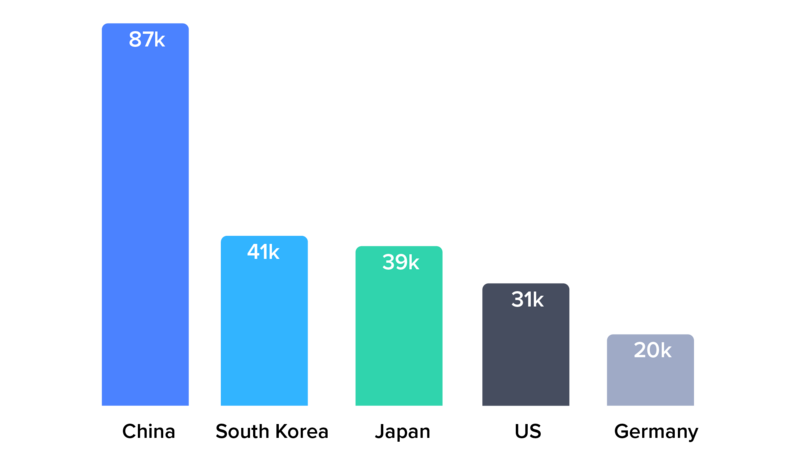 And numerous direct-to-consumer leaders like Rothy’s, Everlane, and Allbirds are already making inroads. Whether your strategy involves a WeChat storefront, Tmall Global, partnering with JD.com, or niche marketplaces like Xiaohongshu — which specializes in fashion and cosmetics — now is the time to take hold of the future. And not to worry, the bots will gladly welcome you. The robots are coming. And Asia’s monolithic investment in automation is poised to reshape eCommerce the globe over. 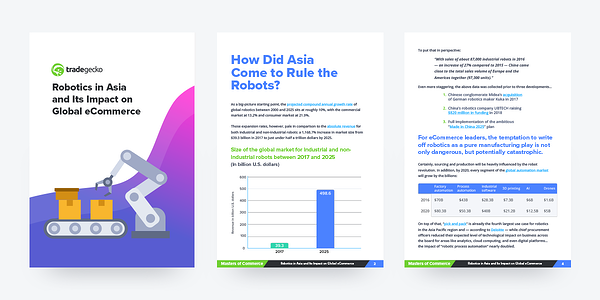 Download the Robotics in Asia and Its Impact on Global eCommerce eBook today, to discover more.